The 2002 Mazda RX-7 got a full GP Sports body kit. The car from the outside looks just outstanding. It has 18 inches SSR Comp-H’s wheels sized at the front and at the rear – 18×10.5. 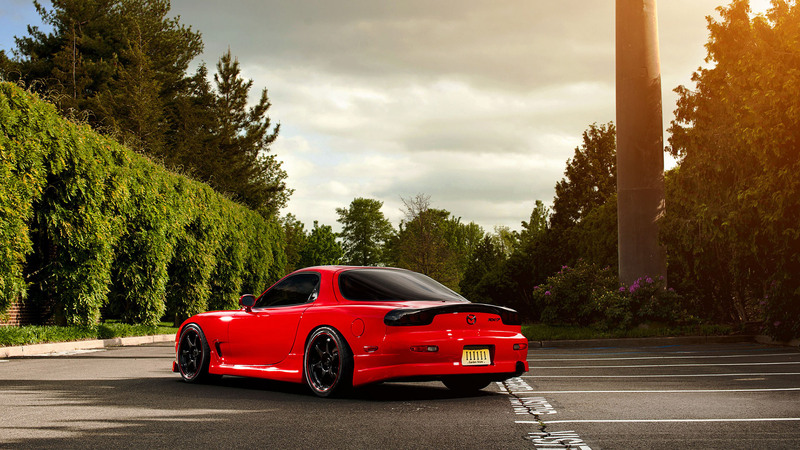 The RX-7 can easily be called one of the best cars that Mazda ever built. It definitely can be called one of the finest cars that ever came out of Japan. The car is really outstanding not just by looks, but by its quality and all aspects of the car. It is a small, beautiful automobile with a lot of potential. This third generation 2002 Mazda RX-7 also can be called a special one from all RX-7 models. Its engine cranks up to 454 whp (334 kW). The engine obviously is modified, because the base models engines comes with way less horse power. However, all RX-7 base models comes with quite a lot of horse power. The base models produce from 252 hp (188 kW) to 276 hp (206 kW). The car comes with a 5-speed manual transmission. Car’s length is 168.5 inches (4280 mm). Wheelbase is 95.5 inches (2426 mm) long. Height is 48.4 inches (1229 mm). Width is 68.9 inches (1750 mm). Curb weight is 2840 lbs (1288 kg).